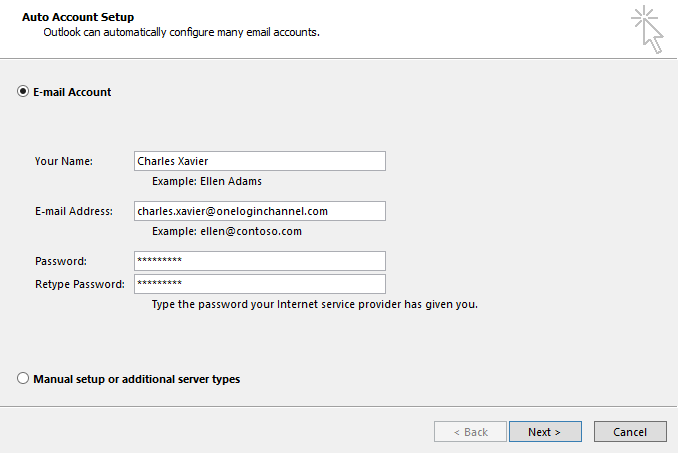 Once you have Office 365 successfully integrated through OneLogin, you are now able to get a desktop client of Outlook installed on your system. 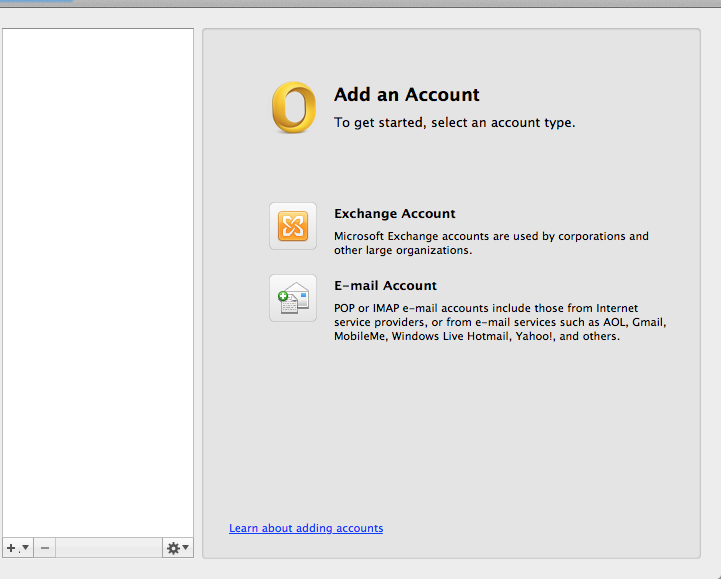 With outlook installed onto your desktop, during the setup process, you'll be prompted with this screen below. What you're going to do is input Your Name, and then your Email Address, which should match both your email within OneLogin and Office 365. Finally, for Password, you'll be using your OneLogin user password as it will be routing through OneLogin to authenticate the Office credentials. 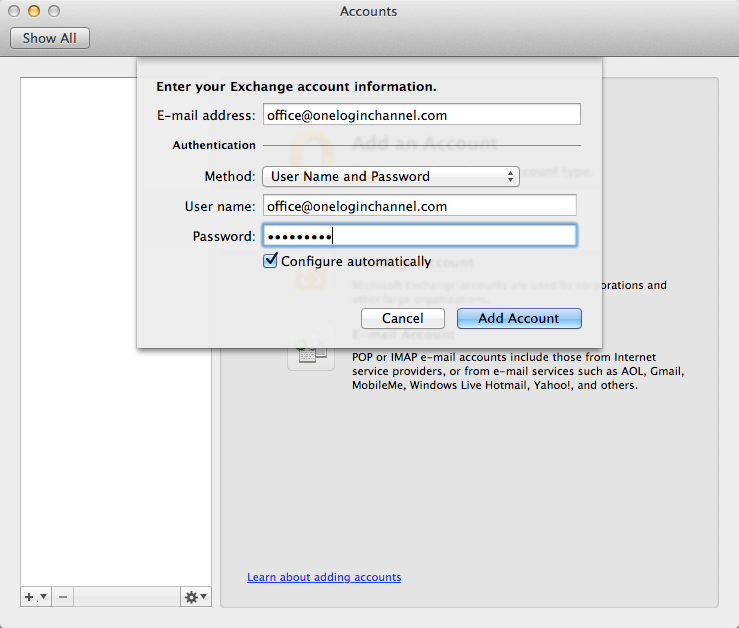 Then at the next page, all you'll do is select Exchange Account to setup outlook via Exchange. And with that, your OutLook client should be successfully connected to your Office 365 account though OneLogin! *Please note that due to limitations on the Microsoft side, Outlook Desktop will not respect a user's OneLogin MFA policy.